Embracing technology is a must for lawyers. The failure to do so can have serious repercussions, including being unproductive and causing profitability to suffer. With this, how exactly can lawyers embrace technology? Keep on reading and we’ll list down some of the best ways to integrate technology into your legal practice. With legal billing software, such as Rocket Matter, lawyers can end up being more productive and efficient. This can be effective in avoiding billing rush at the end of the month. Your billables will be automatically recorded, so there is no need for making manual entries. Your invoices can also be customized and will be sent on specific clients based on a pre-determined schedule. This will make it easy to improve the timeliness of the payments. Lawyers can also effectively embrace technology in their jobs by using cloud case management software. Basically, the latter will allow you to work almost anytime and anywhere. You can access the files that are essential for the case online, even with the use of your smartphones. This can also be great in creating a more collaborative environment. Most software companies offer secure infrastructure, so you do not have to worry about information security over the cloud. Gone were the days when you need to scour hundreds of pages of paper when you are reviewing a specific case. The latter is time-consuming and can be frustrating! Digital research is one of the legal transformation trends that you should embrace. For instance, with machine learning, it will be quick and effortless to find relevant information that can be helpful in winning a particular case. It is like having your own legal assistant! Lawyers can also tap a new niche of customers – those who are online. These are people who do not have the time to meet with lawyers personally. The transactions will be completed in a purely online environment. From estate planning to making wills, there are different services that the lawyers can provide in an online platform. The challenge, however, is to prove one’s legitimacy and to gain the trust of the clients. Advanced technologies can also be used by lawyers when it comes to education and training. It presents several opportunities to harness one’s knowledge in the industry. No more need to have a sit-down environment to be updated of the latest legal trends and developments. You can watch online videos or brush up on your reading with the help of technology. It is an innovative way to learn new things and become more competitive in your profession. 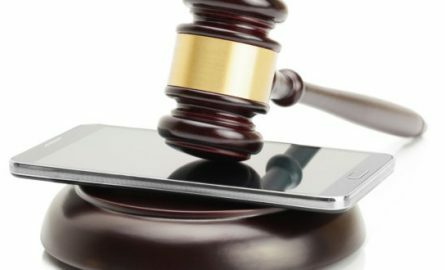 With the means that have been mentioned above, it will be possible for lawyers to embrace technology and enjoy its plethora of benefits. It is an investment that will be needed to deliver better legal services, and in the end, improve profitability.